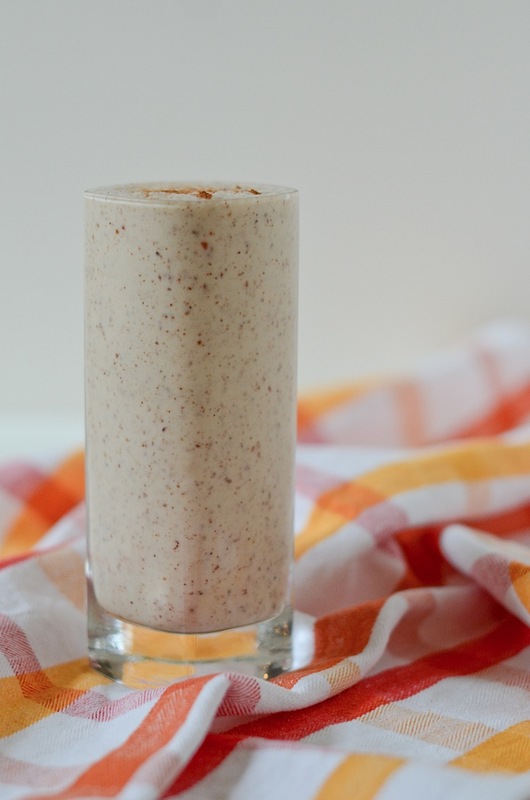 You’ve already seen my recipe for a simple, 3-ingredient almond butter smoothie. 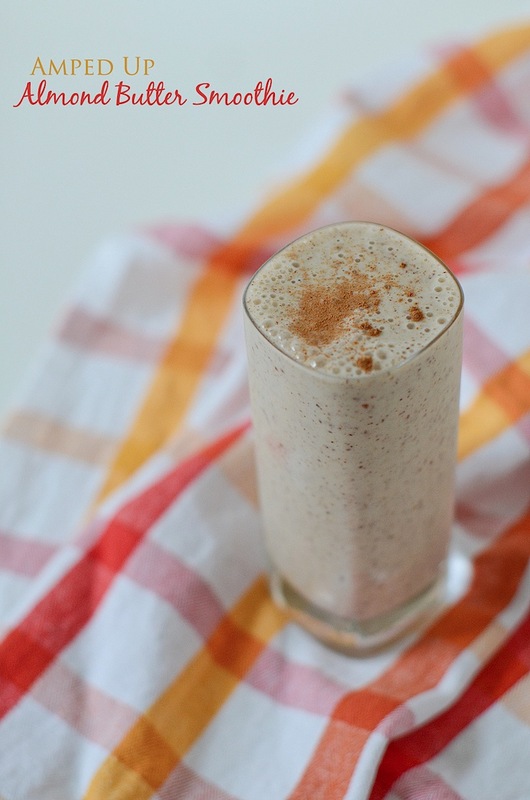 This time, I’m bringing you a Boosted Banana Almond Butter Smoothie Recipe! I made a couple simple additions to my basic Healthy Banana Almond Butter Smoothie Recipe to make the smoothie extra healthy. I added a couple health-boosting ingredients to the basic recipe to turn it into an Boosted Banana Almond Butter Smoothie recipe. An article about flaxseeds on whfoods.com says, “The seeds of most plants are rich in nutrients and can provide us with health benefits. Yet flaxseeds are also nutritionally unique and offer us health benefits not found across the board within the seeds food group. The nutritional uniqueness of flaxseeds features three nutrient aspects.” You can read about those three aspects (omega 3 fatty acid content, lignans, and mucilage (gum) content by clicking here. 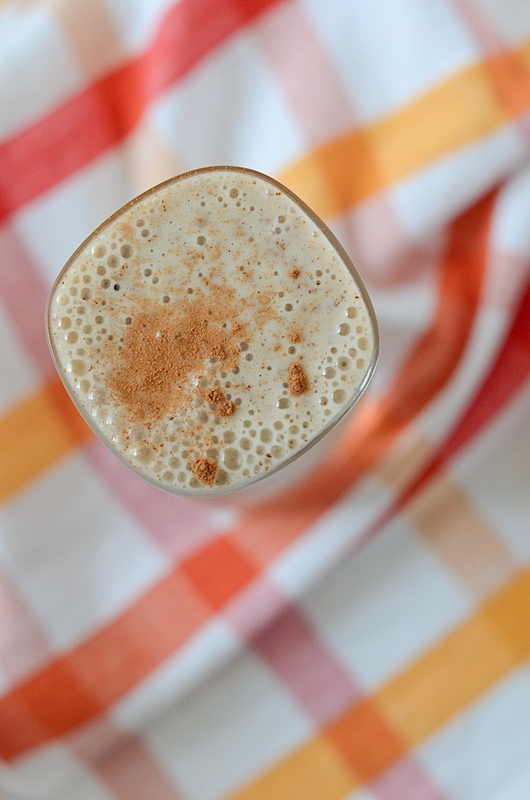 This Amped Up Almond Butter Smoothie takes a classic recipe up a notch with a couple simple, healthful additions. Read more about why these ingredients are healthy above in the blog post. Place milk, banana, almond butter, flaxseed, and date in the blender. Pour into a glass and add a dash of cinnamon on top. Enjoy!